My kitchen is a busy place. I cook for my family every day and having a clean kitchen with workspace as well as properly functioning appliances is very important for me. One of the most important aspects of a functional and a beautiful kitchen is the countertops. Being able to have enough space to cook, clean, store things, and work around comfortably, is important for working in the kitchen and making great products- the delicious food! Not only that, the countertops are also important to give your kitchen the look and feel you want and be aesthetically appealing. All of the same is also true for bathroom countertops. While you do not cook in the bathroom, you use hot water, possibly a styling hot iron for your hair, cosmetics, and other products. So your bathroom countertops also need to be able to withstand all this, while looking beautiful. This is a long, but not an exhaustive list. As you can imagine, trying to install new countertops or replacing old ones can be an overwhelming task because of all the choices you have. Besides, installing countertops is a big and expensive update so you need to make sure that your selection is carefully thought out. You can always hire a reputable interior design company to help you. 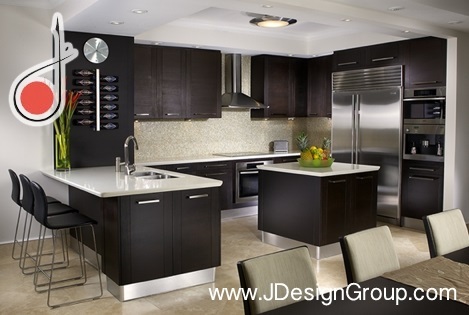 J Design Group is the leading interior design firm Miami has. We have experience in designing spaces of all shapes and sizes for homes, hotels, corporations, and more. Here are the three top countertop materials that you should be thinking about. Quartz. In terms of attractiveness and durability, there is really no other material that can beat quartz. It will last you for years without losing its beauty. Quartz is an engineered product, unlike granite and marble that are solid stones. As a countertop material, it never needs sealing, is resistant to stains, scratches, chips, and bacteria, and comes in a range of appealing colors, textures, patterns, and finishes. The downsides include a hefty price tag, not having a natural stone look, and not being very heat resistant. All in all, quartz can make for a wonderful countertop choice which you can enjoy for years, even though you may have to pay more for it now. Granite. With an undeniably beautiful and strong surface, granite provides many advantages as a material of choice for countertops. It exudes classic elegance and matched with outstanding durability, these may be the only countertops you may ever need for your home. Being a natural stone, granite is eco-friendly and resists scratches, heat, and staining. It does require sealing, and heavy objects can chip or break it. But overall, it can last for a long time with proper care. The stone remains popular for countertops and since it contains many different minerals, each slab has a unique luster and attractiveness. As a leading Miami interior design firm, we at J Design Group, have used granite for many different projects and have had a lot of happy clients. 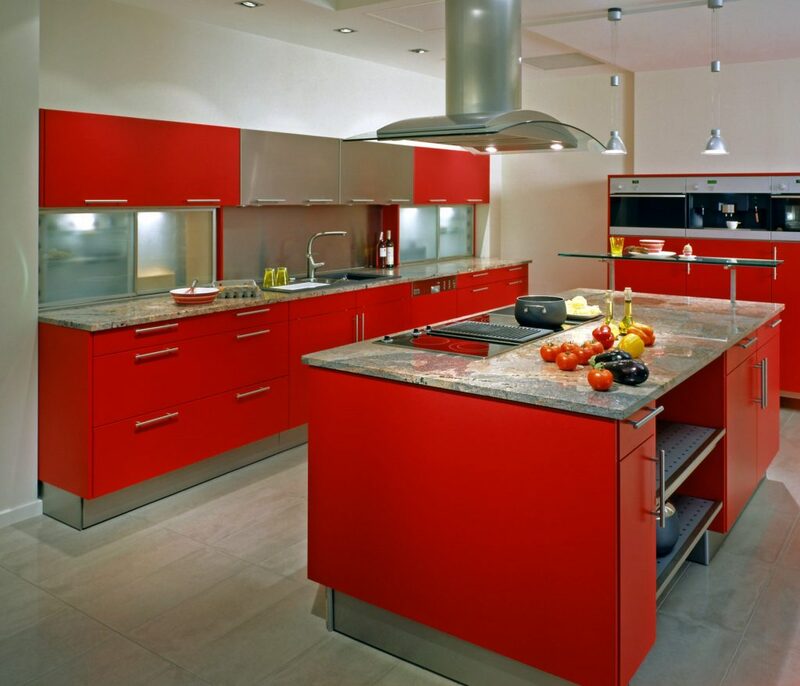 Glass; for countertops, glass is a relatively new material. As people look for newer, better, and unique materials and styles for countertops and other elements in their homes, glass has seemed to captivate many with its uniqueness and more modern look and designs. Glass countertops come in a variety of colors, styles, and textures and fits in with any other materials and styles used in the room. It can be designed in any shape or form- only your imagination is the limit. These countertops are extremely durable, heat resistant, and don’t age with time. Spills require just a quick wipe and maintenance does not really require anything special other than not breaking it with heavy objects. Since glass is not porous like stone, stains and bacteria cannot get trapped in it. So glass countertops are very hygienic too. These are three of the most popular countertop materials today. Depending on your needs, preference, and budget you can opt for any other type of countertop material you like. For design and installation, contact J Design Group at 305.444.4611. We are confident that we are the best interior design agency Miami has. Should Your Home Include a Skylight?